An Edinburgh brewer has launched a crowdfunding campaign with the aim of opening the UK’s first dedicated gluten-free brewery. The Bellfield Brewery has launched a crowdfunding campaign on CrowdCube in the hope of raising £150,000 to open a brewery solely dedicated to the production of gluten-free beers that “taste as good as any other craft beer”. The craft brewer plans to use the funds to “scale up its operation by opening the UK’s first dedicated gluten-free brewery in Edinburgh”. Speaking to The Edinburgh Reporter, Marie Brown, operations manager at the Bellfield Brewery, said: “The market opportunity is significant. Based on our current forecasts, we estimate that we can achieve a market valuation of between £5.8m and £10.9m by 2018. We’re bringing in industry experts across all areas of the business including Chartered Brands, the company that oversaw the strategy and development of market leader Genius bread. The brewery has already attracted 55% (£82,500) of its £150,000 target through private investors and contributions from the public, with 39 days of the campaign left to run. Those who choose to invest will receive a stake in the company and rewards ranging from exclusive bottlings and the chance to brew their own beer. 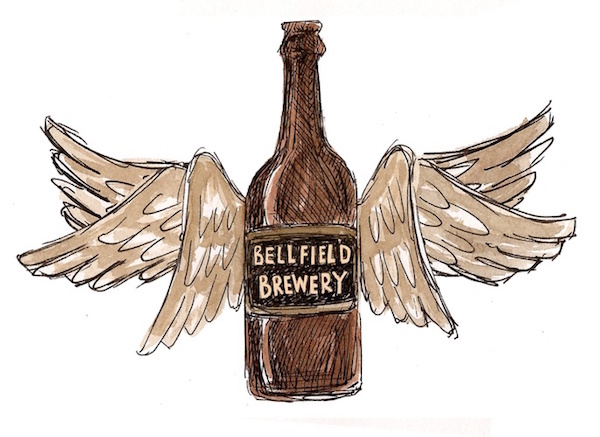 Bellfield Brewery was founded by a group of friends, some of which have coeliac disease, which makes you intolerant to gluten including wheat and barley used to brew most beers. The Bellfield Brewery will seek Coeliac UK’s GF accreditation for its entire range, so that all products carry the internationally recognised “crossed grain” symbol. It is hoped the brewery’s first gluten-free beers will go on sale in the autumn 2015.